Energy Research Center faculty, Eric Wachsman, Liangbing Hu, and Chunsheng Wang have been awarded funding from NASA for their Garnet Electrolyte Based Safe, Lithium-Sulfur Energy Storage technology. NASA has selected this research proposal as a potentially breakthrough technology to power future space missions. This research is an extension of the team’s existing battery project, funded by the U.S. Department of Energy Advanced Research Projects Agency - Energy (ARPA-E), which focused on energy storage using solid-state electrolytes. The solid-state lithium-ion battery with ceramic electrolyte has a greater abuse tolerance than liquid-based batteries, which allows these batteries to be lighter and have a longer life. 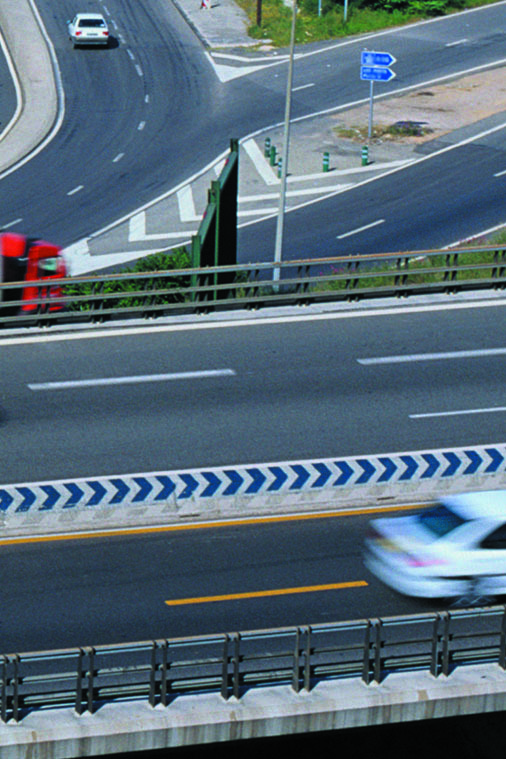 The solid-state construction also makes these batteries non-flammable and intrinsically safer than typical liquid-based lithium-ion batteries. The research funded by NASA will utilize a sulfur cathode to increase the battery capacity. This research aims to increase the energy and power density of storage technology, so that NASA space missions can have more power for longer missions, with minimal mass. NASA is investing in the development of new energy storage devices that will help enable future robotic and human-exploration missions. Spurred on by the National Research Council report, "NASA Space Technology Roadmaps and Priorities”, these technologies will provide NASA with improved energy generation and storage “with reliable power systems that can survive the wide range of environments unique to NASA missions." NASA believes these awards will lead to such energy breakthroughs. "NASA's advanced space technology development doesn't stop with hardware and instruments for spacecraft," said Michael Gazarik, associate administrator for Space Technology at NASA Headquarters in Washington. "New energy storage technology will be critical to our future exploration of deep space -- whether missions to an asteroid, Mars or beyond. That's why we're investing in this critical mission technology area." For more information, click here (link is external) to view NASA’s press release. Work done in Reza Ghodssi's group to measure real-time changes in the size of battery electrodes was highlighted by DOE's July 2014 Frontiers in Energy Research Newsletter. WASHINGTON -- The University of Maryland's NanoStructures for Electrical Energy Storage is one of just 200 proposals to be awarded a grant by U.S. Energy Secretary Ernest Moniz today. P.G. Collins' group's work on Charge-Transfer Resistance of Carbon Nanotube (CNT) Interfaces has been highlighted in the April 2014 issue of DOE Frontiers in Energy Research. Dr. Chunsheng Wang and Dr. John Cumings, University of Maryland professors and NEES EFRC researchers, have modified a Li-ion battery anode to accept sodium in place of lithium. Their work has been published in the June 4th issue of Nature Communications. The April 2014 edition of Frontiers in Energy Research, an online summary of research stemming from the national EFRC program, has a story on our NEES EFRC about working to overcome the resistivity challenge of utilizing carbon nanotubes in todays electronics, including solar cells and battery technology. The 2014 NEES Accomplishment Meeting was held in Sandia National Laboratory on May 8th and 9th. It allowed students and researchers from all our institutions to gather and review the work accomplished for the past year. Congratulations to Eleanor Gillette in Dr. Sang Bok Lee's group as a recipient of the UMD Graduate School All-S.T.A.R Fellow for AY 2014-15. She was one of only two in the whole CMNS college selected for the honor. Congratulations to Hyun Jung in Dr. Reza Ghodssi's group for their accepted manuscript to the Hilton Head MEMS Workshop 2014: A Solid-State Sensors, Actuators and Microsystems Workshop. The manuscript is titled "In-situ, real-time monitoring of mechanical and chemical structure changes in a V2O5 battery electrode using a MEMS optical sensor", to be included in the Hilton Head 2014 Workshop Technical Digest. Special thanks to Dr. John Sullivan and Dr. Alec Talin for their significant contributions and collaborations. 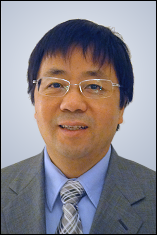 Thrust E and UMD member Liangbing Hu has been honored by ASEE with the "Campus Star". The latest class of Fellows of the American Physical Society includes Zuzanna Siwy, a senior investigator in Nanostructures for Electrical Energy Storage (NEES), an Energy Research Frontier Center funded by the U.S. Department of Energy and headed by University of Maryland Prof. Gary Rubloff. Siwy, a professor at the University of California, Irvine, was named a fellow “for her innovative use of nanopores in the development of biosensors and nanofluidic ionic circuits." Siwy’s research on nanopores for electronic circuits was a critical contribution to the NEES project, which has just finished its fourth year of operation (efrc.umd.edu). Election to APS Fellow status requires “exceptional contributions to the physics enterprise; e.g., outstanding physics research, important applications of physics, leadership in or service to physics, or significant contributions to physics education. Fellowship is a distinct honor signifying recognition by one's professional peers,” the society’s website says. Each nomination is evaluated by the Fellowship committee of the appropriate APS division, topical group or forum and is approved by the APS council. Siwy was one of eight honorees by the society’s Division of Biological Physics in 2013. Scientists from Nanostructures for Electrical Energy Storage, a DOE Energy Frontier Research Center, have added something new to a family of engineered, high-tech materials called metal-organic frameworks (MOFs): the ability to conduct electricity. This breakthrough—conductive MOFs—has the potential to make these already remarkable materials even more useful, particularly for detecting gases and toxic substances. MOFs are three-dimensional crystalline materials with nanoscale pores made up of metal ions linked by various organic molecules. MOFs have huge surface areas, and scientists can easily control the size of their pores and how the pores interact with molecules by tinkering with their chemistries. These characteristics make them ideal for use as catalysts, membranes or sponges for gas storage or for drug delivery, among other applications. "MOFs are typically extremely poor electrical conductors because their constituent building blocks, the organic linkers and the metal ions, don't really talk to each other in terms of electrical conduction," says NIST materials engineer Andrea Centrone. "Our work points to a way of controlling and increasing their conductivity." The group accomplished this by "infiltrating an insulating MOF with redox-active, conjugated guest molecules." In other words, they infused and bound electron-sharing molecules into MOF thin films to create a material that is stable in air and approximately a million times more conductive than the unaltered MOF. "Based on several spectroscopic experiments, we believe that the guest molecules serve two important purposes: they create additional bridges between the metal ions—copper, in this case—and they accept electrical charge," says NIST chemist Veronika Szalai. According to NIST physicist Paul Haney, who provided some modeling for the experimental data, the arrangement of the guest molecules in the MOF creates a unique conductivity mechanism while preserving the benefits of the porous MOF crystalline structure. These porous and conductive MOFs may be the first in an entirely new class of materials that could be used for sensing, conformal electronics (electronics that can bend and conform to unusual shapes), and other as-yet-unknown applications. "Our discovery gives chemists and engineers a whole new degree of freedom to tailor these materials for their technological applications," says Centrone. "I would not be surprised if solar cells could be made using this new class of materials." * A.A. Talin, A. Centrone, A.C. Ford, M.E. Foster,V. Stavila, P. Haney, R.A. Kinney, V. Szalai, F. El Gabaly, H.P. Yoon, F. Léonard and M.D. Allendorf. Tunable electrical conductivity in metal-organic framework thin-film devices. Science Express. Posted online Dec. 5, 2013. University of Maryland grad student Khim Karki of Dr. Cuming's group (Thrust B) is one of 15 PhD and post-doctoral researchers from the US to be awarded a Joint US-Africa Materials Initiative fellowship. This fellowship will be held in Addis Ababa, Ethiopia from Dec. 9-21, 2012 and will challenge participates in solving current issues facing African nations with organic and inorganic photovoltaics, photocatalysis, batteries, supercapacitors, fuel cells and other forms of alternative energy. University of California, Irvine's Reginald Penner has joined ACS Nano as an Associate Editor starting Oct. 1. ACS Nano is a leading, high impact monthly publication with a focus on nanoscience and nanotechnology. 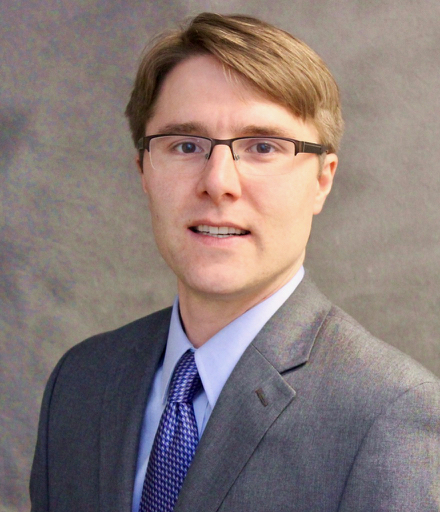 Dr. Penner's appointment highlights his efforts and knowledge in this area of science. 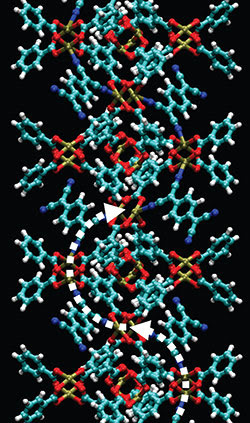 Wenbo Yang's work, from Dr. Reginald Penner's group at University of California - Irvine, has been featured on the cover of the July 24th, 2012 issue of Chemistry of Materials. The work showcases their advances with core-shell gold-MnO2 nanowires. Congratulations to UCI's Zuzanna Siwy has been awarded a prestigious "Distinguised Mid-Career Faculty Award for Research" from the University of California-Irvine. Her work examines fluid behavior over charged surfaces and in nanoscale geometries. Professor John Cumings's accomplishments in teaching and research are exemplary and the promotion is an acknowledgement of the excellent work he has done over the past 7 years. Yale engineers, including André Taylor and his group, have developed a novel automated system for generating strong, flexible, transparent coatings with promising uses in lithium-ion battery and fuel cell production, among other applications. NEES External Advisory Board member, Marty Green, was one of the lead guest editors for the MRS Bulletin special issue "Materials for Sustainable Development" in April. John Cumings (UMD), Jian Yu Huang (SNL), and Khim Karki (UMD) worked with researchers at NIST and UMD and found a practical minimum thickness for LiPON electrolyte in a nanostructure battery. Eric Epstein, an undergraduate student in Dr. John Cuming's group, has been awarded a NSF Graduate Research Fellowship. Fellows receive 3 years of support funding, $30,000 annual stipend, and $12,000 cost-of-education allowance to the institution. In it's February 2012 publication, ACS Nano highlighted research performed by Jian Yu Huang (SNL) and others entitled "Size-Dependent Fracture of Silicon Nanoparticles During Lithiation." From this research, it was discovered that silicon nanoparticles have a critical diameter of ~150nm where larger particles can suffer from surface cracking and fracture, while smaller diameters do not suffer from this affect. This finding could have direct applications in creating more robust lithium ion batteries. YuHuang Wang's research team along with Northwestern University and the Maryland NanoCenter have developed a breakthrough method to create soluble carbon nanotubes (CNTs) - a long sought after property that has hindered the permeation of CNTs use in technology. Congratulations to University of California, Irvine professor Dr. Reginald Penner on being named Chancellor's Professor. This title is reserved for "faculty members who have demonstrated unusual academic merit and whose continued promise for scholarly achievement is unusually high." Chancellor's Professors make up less than 3 percent of UCI's faculty. Dr. Penner's outstanding effort. Utilizing the Tobacco Mosaic Virus, our EFRC researchers have developed a novel method for producing high surface area electrodes. This method involves the self-replicating and self-assembling properties of the virus to build a template for growing and coating nanorods. Additionally, this technique is scalable and cost-efficient lending itself to become a viable production method. In the December 10th issue of Science, NEES Thrust D members JY Huang and JP Sullivan of the Center for Integrated Nanotechnologies at Sandia National Lab report the real time observation of a SnO2 nanowire charging with lithium inside a TEM. NEES EFRC graduate student Parag Banerjee, under the advisement of Thrust D PI Professor Gary Rubloff (UMD), has been featured in Sierra Magazine for his work on solar circuits. NEES EFRC graduate student Konstantinos Gerasopoulos, under the advisement of Thrust D PI Professor Reza Ghodssi (UMD), has won the Best Poster award at this year's Micro/Nano Alliance Symposium at Johns Hopkins University Applied Physics Laboratory. His work involves utilizing the tobacco mosaic virus as scaffolding for building anodes out of nickel and titanium dioxide. EFRC researchers have modified the tobacco mosaic virus (TMV) to aid in building silicon anodes. The modified virus can be patterned onto a metal surface, eliminating the need for binders/additives and increasing density. Layering nickel and silicon around the virus in an electro-less plating bath creates a 3D current collector. Capacitance of the new anode has shown a 10x increase while the structure maintains cycling stability and charge rates. UMERC, a rapidly growing cross-campus energy research center, has announced two new faculty positions, one at senior and one at junior level. Depending on the candidate, the appointment may be made in any of several engineering departments, or may be a joint appointment. See the announcement for details. NEES investigator Charles Martin from the University of Florida will receive the 2010 Award in Electrochemistry from American Chemical Society Division of Analytical Chemistry. The award recognizes an individual who through scholarly activity has definitely and uniquely advanced the field of electrochemistry. The Lindau Council has accepted NEES graduate research assistant Stefanie Sherrill to participate in the 60th Interdisciplinary Meeting of Nobel Laureates from June 27 to July 2, 2010 in Lindau, Germany. This year marks the 60th annual gathering of Nobel Laureates and selected graduate students in Lindau. The meeting serves to encourage the transfer knowledge between generations of scientists. Nobel Laureates give lectures, panel discussions and seminars that inspire the new researchers. 68 Laureates are expected to participate. Academic partners from around the world nominate 1500 individuals from a selected pool of 20,000 students. The Council accepts 500 of the graduate students nominees to attend the event. Precision + Structure: Four Years of Nanostructures for Electrical Energy Storage, an intriguing glimpse into NEES' research directions and advances since its funding in 2009.